The complete 120 Proof Honey Series is here just for you! Includes the stories "Daxton", "Knox", and more. Blair Mason was a woman with a one-track mind, and that track was work. From sunrise to sundown, all she thought about was how to keep her small town grocery store open. That meant hard decisions, the type Blair was in the midst of making when she was rudely interrupted by a tall man. A tall, handsome man. Oh, there were things other than work after all! Daxton Holt thought getting his honey on Mason's shelves would be simple. Walk in, flash a smile, and fill out some paperwork. But this owner was something else. She saw right through his charms, pushing him to really sell his product. He liked that, and he liked her. A feisty little minx is sweeter than any honey his bees made. This was a quick listen but it had all of the elements of a good story. The characters and plot were good. The narrator added to the story. The fight was described very well. It was interresting how Blair would not sell the whiskey in her store but would drink it at home. Daxton did a good job of saving her twice before they fell into bed. Will probably listen to the next books in this series. Too short to be worth a credit but if they are reasonably priced I will buy the otherrs. I was given this in exchange for an honest review via audiobook boom. I received this book free for an honest review. And honest I will give you. This book was a great short story to listen too. It covered all the bases when providing a description of the people, places and things. The author describes Blair Mason as a pretty by-the-book type person, even though her beginnings were rough. As is typical, Daxton Holt, the shifter, is hot (they all are, lol). The story was full and complete with a little bit of suspense, thrill and romance. Enjoyed the break from the longer books. What did you like best about Daxton? What did you like least? I liked the idea and build up of the story but I felt like the story had just started and it was over. If you’ve listened to books by Becca Fanning before, how does this one compare? The story started great. Blair was a little annoying being so judgy and cold towards everyone in the beginning but then she warmed up to Daxton. I was disappointed that there was promise of her being around his friends but then it never happened. I would have liked to see them one more time. Meghan Kelly did a good job portraying the cast of characters. My interest in this story waned as soon as the hero and heroine met. Daxton Holt shows up to pitch his honey products to Blair Mason, who is in the middle of a financial crisis with her small grocery store. Despite being in tears about having to fire employees, she immediately notices Dax's muscular appearance. This felt artificial and contrived for the sake of the story. From there, she tells him she won't sell his products because they might not meet quality and safety standards, and because selling moonshine is illegal, essentially calling him a criminal (despite Dax assuring her this is not so). Dax proceeds to pursue Blair, trying to convince her to sell his honey and go out with him. Blair struck me as critical and judgemental and not very likeable, so I didn't feel the author provided a credible basis for Dax's attraction. When Blair learns Dax is a shifter during a 4 on 1 fight, she exhibits no surprise. Maybe in this world, humans are aware of shifters and I didn't pick up on that. Although this author has solid skills, I found there to be a lack of "organic" sexual tension, especially because Blair struck me as so unlikable. I would be willing to try other books by this author. This was a fun and flirty read. Blair Mason needs to save her store. Daxton Holt may be able to help her. I liked the sparks that flew between the characters. I don't want to include any spoilers in this one but I will say there is a HEA. Meghan Kelly did well with the narration. If you could sum up Daxton in three words, what would they be? What other book might you compare Daxton to and why? 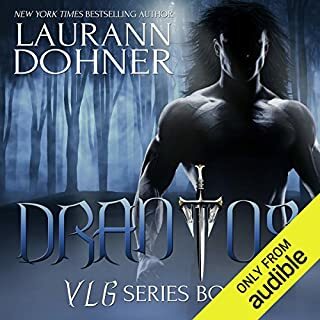 It is very comparable to all the other short shifter stories out there, although i like this narrator better than some of the other ones i have come across. Yes i have, I think Meghan always does a very good job! Yes it was, it was just a short story so everything happened rather quickly which keeps the interest in listening to what happens next. Spectacular beginning to this new series!!! Would you listen to Daxton again? Why? I would definitely listen to this book again because it is a wonderful book of fantasy. A book that will take you/me to another place, a time to relax. 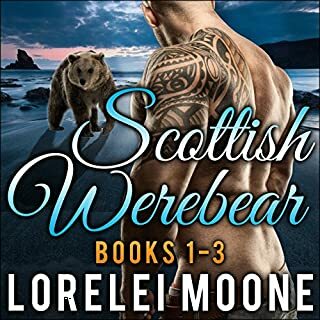 I love a great shifter romance book and this one was definitely no exception to that premise. It has a wonderful story with a strong, determined heroine, and a just as determined hero. Blair Mason own and runs a small mom and pop grocery store in town. She is determined to succeed, however the big chain store in town is making it very hard, and now she is going to have to lay off one or two much loved employees. She does not have any time for anything other than her store if she wants it to succeed. Then the tall, very well built man walks into her office. Hmmmm, well maybe some time. Daxton Holt is part owner of a honey farm. He is very determined to get his line of honey products into the local store. When he sees Blair for the first time he turns on the charm, flashes his smile, this is going to be a piece of cake. Then, Daxton finds himself being lead to the door, maybe not so much a piece of cake. He is definitely going to have to work for this one. I loved watching these two battling it out, learning to trust each other, becoming friends, then lovers. I really like the personality of Daxton, the fact that he was just as determined to help Blair’s store grow as he was at selling his products to her. I was introduced to this wonderful author when I was gifted with an audio copy of Daxton by Meghan Kelly, the narrator. I had not previously read/listened to any of her work. Now I have found another “shifter” author to follow, so “Thank you” Ms. Kelly for introducing me to Ms. Fanning’s books. Meghan Kelly did a superb job performing this book, she definitely further brings this book to life with her performance. This is the first book in Ms. Fanning’s 120 Proof Honey series. I look forward to reading/listening to more from this wonderful series in the future. ...the portion, near the end that would spoil the whole story! Meghan Kelly's story telling is ALWAYS fabulous. However, I would not have continued beyond the first hour, even with her professional delivery. This is a good book and if you like this specific twist/genre, you'll want to continue this series. I'm not one of them. *I appreciate the opportunity to listen to this book in exchange for this review. I was given this book in return for my honest unbiased opinion. This was a great short story and I enjoyed the narration.